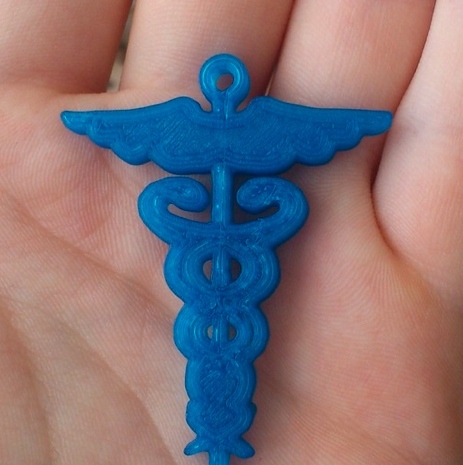 A Caduceus Key Fob, 3D Printed DIY in plastic from the “library” of Thingiverse: Thank You MakerBot and Vin Min. And—as regular Readers here also know—I’m thoroughly convinced that our new intersection of 3DP and Healthcare IS industrial disruption (AND opportunity!) “ground zero” worldwide. Now—in Community Building—we’re organizing our third “HCx3DP Meetup New York” event in as many months (12 December at ThoughtWorks at 99 Madison Avenue in Manhattan). Across our 3Cs, our ultimate goal is Middle Class job generation—in and from our HCx3DP purview. In this way, we can—as a Community—serve two-fold purposes. First is Compassion: improved Healthcare delivery as a patient-outcome enhancement. The sick are cured or made better in body, mind and/or soul. Second is Empathy: those involved in creating and delivering those enhancements (at many, many levels of engagement) are themselves enhanced. This is both materially (employment proceeds) AND spiritually (the presentation of human empathy to another human). Our other two HCx3DP Campaign “Cs”—Conference and Cluster—are simply other forms of Community. The former is a short-term, pop-up, ad-hoc, intense Community. The latter is a permanent and self-sustaining version of Community across geography: “City” within City. 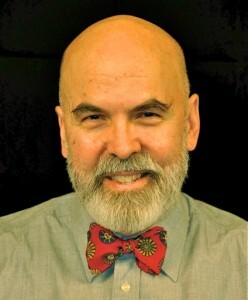 In both cases, compassion and empathy, technology and need are inputs and the Golden Rule (“Do unto others…”) is the HCx3DP output. So, please let me suggest that “HCx3DP New York” (and, eventually, other venues) is about creating Community and communities. For the betterment of commerce and common-good. So, C’mon Back for a rich and enriching 2015!